The Europa League final takes place tonight. 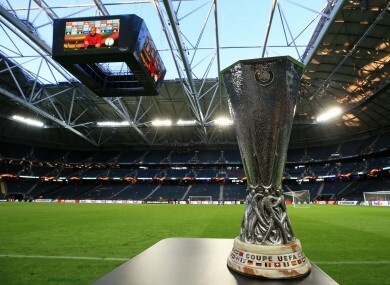 UEFA HAS CONFIRMED that there will be a minute’s silence before tonight’s Europa League final between Manchester United and Ajax. United cancelled their pre-match press conference yesterday in the wake of Monday’s attack at the Manchester Arena after 22 people, including children, were killed. Uefa also confirmed that United’s players will wear black armbands during the game which takes place in Stockholm. Email “Uefa confirm there will be a minute's silence before tonight's Europa League final”. Feedback on “Uefa confirm there will be a minute's silence before tonight's Europa League final”.